Symphony is a leading company in providing air cooling solutions and has an unrivalled expertise and experience of many years. 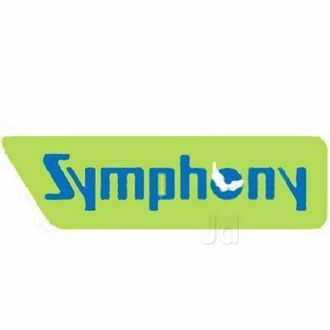 Symphony is popular in manufacturing and selling domestic and industrial air coolers and water heaters. 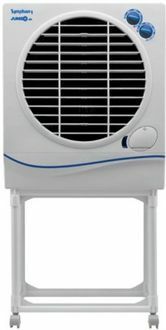 It has a strong line- up of air coolers that are widely used by many people in the country. 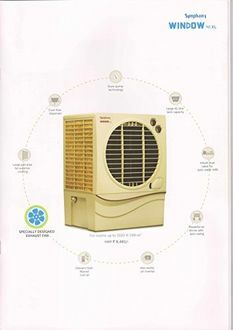 Symphony also has budget- friendly air coolers for its consumers and these air coolers can be used in arid and humid climatic conditions. You can get a Symphony air cooler with capacity ranging from 17 litres to 51 litres. These coolers consume very less power and thus save your electricity bills. 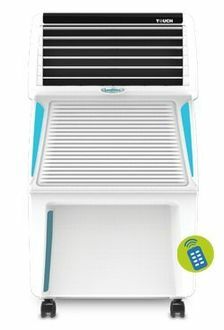 The coolers from Symphony come with several features such as mosquito net, system restore function, full function remote, auto swing and much more. 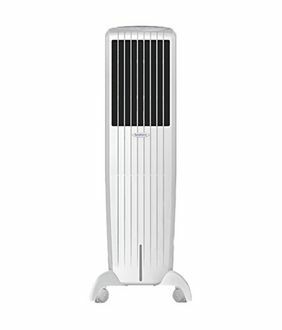 People looking for an air cooler under INR 8000 can check out the price list that consists of 7 Symphony air coolers below INR 8000. The list is updated on 21st April 2019 and always show the lowest price across the websites. These coolers also come with Honeycomb pads, ice chamber and use Dura pump technology. 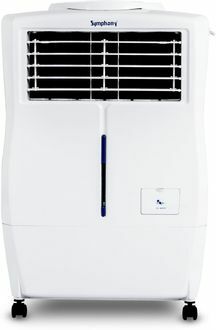 You can find the Symphony air coolers on all leading shopping websites like Flipkart, Amazon, Tata Cliq and Paytm. Buy online to get all the latest cash back offers and discounts on Symphony air coolers. With the price comparison tool, it is easy to compare price of these air coolers so that you can get it at the lowest price online.